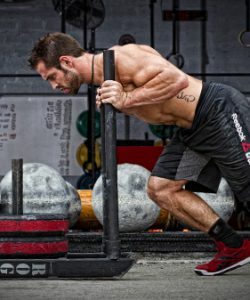 Imagine being able to train harder and longer every workout such as being able to do 2 more pull ups than normal every set or 8 sets of 5 front squats without decreasing the weight. 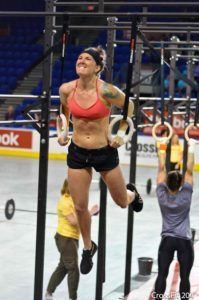 If you are a Crossfitter it can be doing more at every WOD than your training partners. Achieving goals like this is possible, and it doesn’t require making big changes to your current diet or taking a handful of expensive pills. All it may require is using the inexpensive and safe sports supplement beta alanine. Like creatine monohydrate, it’s safe, thoroughly researched, and as you’ll learn in this article, the results speak for themselves. 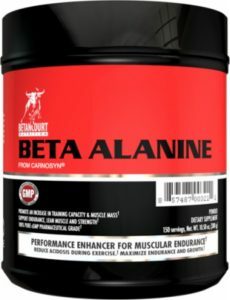 What Is Beta Alanine And Why Is It Important? Simply put, beta alanine is an amino acid that naturally occurs in our bodies. The reason it’s important to you and I is that having more of it available in our muscle cells enables another compound called carnosine to increase as well. As you’ll see, increasing carnosine levels in our muscles is a big deal for all of us who want to perform our best at every workout. The reason carnosine is so important is it helps act as a ‘buffer’ within your muscles during exercise. Its buffering effect keeps your muscles from getting tired as quickly as your workout progresses. This is what enables you to perform kettlebell swings with heavier weights and do an extra set of hill sprints at top speed. Unlike other nutritional supplements that have their fair share of non-responders, beta alanine works for everyone. Out of all the studies done using beta alanine every subject taking it increased their muscle carnosine levels. This means that if you’re taking it and working out hard, it’s bound to work for you too. It increases workout endurance. A study done with college football players shows that taking beta alanine daily enables you to perform more reps in a given workout (4). Another study using elite rowers shows that it helps decrease the time it takes to row 2000 meters at maximal intensity (3). Over time, this benefit will enable you to build more muscle, lose more fat, and get into shape faster. Build more muscle. Studies show that in addition to helping you train harder and increase your workout endurance, taking a beta alanine supplement can also help you build more muscle. A group of college football players and wrestlers, two groups of very fit and muscular athletes gained over a pound of muscle after taking it for 8 weeks. They also decreased their times in tests measuring their sprinting speed. The placebo group in the study did not show any improvements in muscle mass or sprint performance. Lose fat and train hard even when you’re cutting calories. Beta alanine supplements can also help you when you’re dieting to lose weight and excess fat. Even though the wrestlers in the aforementioned study were dieting to lose weight they still put on muscle and improved performance in maximal sprint tests. Like branched chain amino acids, beta alanine seems to be a great supplement to ensure you can workout hard when you’re cutting calories to lose more fat. 1. Take at least 3 grams a day. This is the dose that studies show is the minimum needed to be effective. Expect to see results after a couple weeks of supplementation. You may see faster results by taking 6-8 grams daily for 1-2 weeks and then backing off to 2-3 grams a day thereafter. Either way works. 2. Use a time-released form of beta alanine. This will minimize the likelihood of the only side effect known to occur with supplementation which is a mild tingly feeling in your hands and feet. While harmless, some people feel uncomfortable when it occurs. The easiest way to buy a time-released version of it is to look for the Carnosyn brand on the products ‘Supplement Facts’ table. Some of the products that use Carnosyn are Betancourt Beta Alanine powder, Gaspari Anavite, and Prolab Beta Alanine capsules. 3. Take it with a creatine supplement for better results. 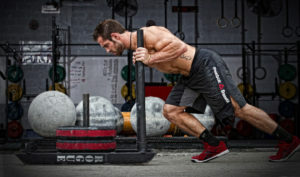 A study shows that when taking beta alanine with creatine monohydrate, subjects built more muscle, and lost more fat than subjects taking only creatine or a placebo (5). 4. Take your beta alanine with food or a meal replacement shake. Results from one study show that you may be able to get at least 20% more beta alanine into your muscles when its taken with a meal that contains both carbohydrates and protein (7). Listed below are my favorite beta alanine supplements. Each contains the highest amount of beta alanine per serving and no added fillers or other worthless ingredients. Each scoop contains 4 grams of Carnosyn brand time-released beta alanine. This means no tingling side effects. It comes in a flavorless powder that mixes easily in water or a protein shake. With 75 scoops per container, each should last you 1-2 months. 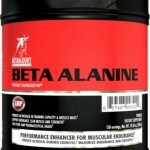 Click here to learn more about buy Betancourt Beta Alanine Powder. If you don’t like mixing up powders and prefer capsules this is the beta alanine supplement for you. Every 2 capsule serving contains 800 mg of the recommended Carnosyn brand beta alanine. This concentrated dosage makes it easy to get 3 or more grams daily for optimal benefits. 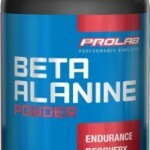 Click here to learn more and buy Prolab Beta Alanine Extreme capsules. You now have all of the information you need to get the most from a beta alanine supplement. Give it a try yourself and watch your workout performance take off. 1. Artioli GG, Gualano B, Smith A, Stout J, Lancha AH Jr. Role of beta-alanine supplementation on muscle carnosine and exercise performance. Med Sci Sports Exerc. 2010 Jun;42(6):1162-73. 2. Bex T, Chung W, Baguet A, Stegen S, Stautemas J, Achten E, Derave W. MUSCLE CARNOSINE LOADING BY BETA-ALANINE SUPPLEMENTATION IS MORE PRONOUNCED IN TRAINED VS. UNTRAINED MUSCLES. J Appl Physiol (1985). 2013 Nov 27. 3. Hobson RM, Harris RC, Martin D, Smith P, Macklin B, Gualano B, Sale C. Effect of Beta-Alanine With and Without Sodium Bicarbonate on 2,000-m Rowing Performance. Int J Sport Nutr Exerc Metab. 2013 Oct;23(5):480-7. 4. Hoffman JR, Ratamess NA, Faigenbaum AD, Ross R, Kang J, Stout JR, Wise JA. Short-duration beta-alanine supplementation increases training volume and reduces subjective feelings of fatigue in college football players. Nutr Res. 2008 Jan;28(1):31-5. 5. Hoffman J, Ratamess N, Kang J, Mangine G, Faigenbaum A, Stout J. Effect of creatine and beta-alanine supplementation on performance and endocrine responses in strength/power athletes. Int J Sport Nutr Exerc Metab. 2006 Aug;16(4):430-46. 6. Kern B, Robinson T. Effects of beta-alanine supplementation on performance and body composition in collegiate wrestlers and football players. Journal of the International Society of Sports Nutrition 2009, 6(Suppl 1):P2. 7. Stegen S, Blancquaert L, Everaert I, Bex T, Taes Y, Calders P, Achten E, Derave W. Meal and beta-alanine coingestion enhances muscle carnosine loading. Med Sci Sports Exerc. 2013 Aug;45(8):1478-85. Kettlebell Complex Workout – Lose Fat And Build Muscle Fast! Kettlebell Workout – Build Muscle And Lose Fat Fast!